This is preliminary race info. Year-specific details, such as opening times and locations, will be posted 2 weeks before the race. The length of each section of the relay races will be published after the course has been measured and certified. Wheelchair and handbike racers can start ahead of the field but they have to consult with the race organizers in advance about passing the lead car. The start of the 30 km will be at a different location: at 12.195 meters on the marathon course. There will be no mass start, runners start individually according to their goal finish time. This way each runner joins the marathon field when marathon runners run a similar pace as them. The exact course changes every year, however, you can take a look at the course of the previous edition here. In the race centre until 30 minutes before the start. You must have your registration confirmation with you to pick up your bib, either printed or the e-mail on your phone. To collect the bib of another runner you must show his/her registration confirmation. Participants running their first marathon are entitled to wear another bib on their back with „MY FIRST MARATHON” will be written on it. If you indicated in the registry form that this would be your first marathon, you will get this race number automatically when picking up your race number. If you didn’t indicate it when registering for the event, you can ask for it at the problem-solving table in the race centre. Facilities will be open before and after the race. Showers are also available on location for individual marathon and 30 km runners. Additionally, there will be changing rooms at the start of 30 km and at the relay exchange stations. In tents at the start/finish area. It can be used with the baggage tag attached to your bib. Attention! We don’t guard valuables in the cloakroom! Bags handed off at the start of 30 km will be transported to the cloakroom at the finish. There will be no cloakroom at the relay exchange stations. There will be a monitored bike rack at the site of the race. There will be portable toilets and urinals for men near the race centre, at the start/finish area, at each refreshment and relay exchange station. There will be refreshment stations set up around ever 3-4 km along the way. Next to water, they serve other drinks and snacks to help your run, such as iso-drinks, banana, and glucose. There will be pace runners who will help you achieve your goal time and guide you to the finish line. 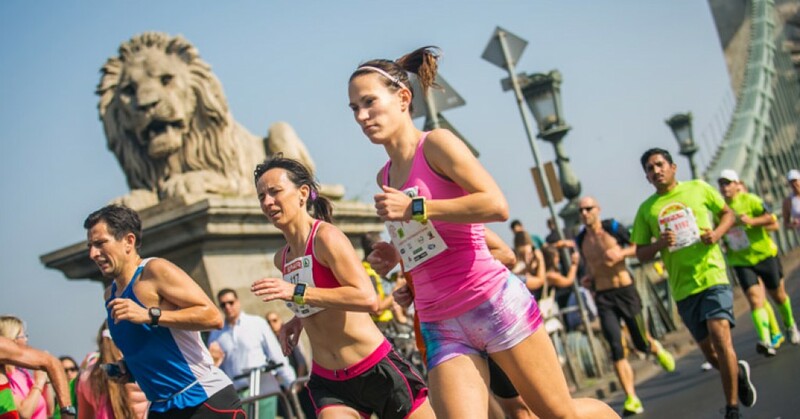 In advance: online at entry.budapestmarathon.com until September 22, 2019. – Click here for prices and further details. On-site: If the limit has not been reached registration is also possible on-site at the race centre. There is no on-site registration for wheelchair and handbike racers! BSI reserves the right to introduce an entry limit at any time prior to the race. A sweep bus follows the runners. If you are passed by the sweep bus, you have to get on the bus, your race number will be crossed and you are not allowed to enter the finish area. According to the time limit of the marathon: the last runner must finish 5 hours and 30 minutes after the marathon start. By race day, registrants for this event must be 18 or older (born before September 29, 2001). By race day, registrants for this event must be 12 or older (born before September 29, 2007). By race day, registrants for this event must be 16 or older (born before September 29, 2003). All participants are invited to take part in the Barilla Pasta Party on Saturday! The pasta party is included in the registration fee of the SPAR Budapest Marathon and 30 km, while others can purchase their ticket on site. 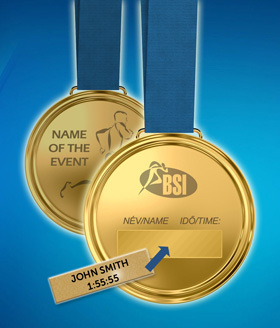 rder your medal insert engraved with your name and your result! By doing this you can skip the long queues and you don’t have to bother with cash. Buy it online and after the event we will send you the medal insert engraved with your name and time that fits neatly into the back of your finisher medal. We will engrave your name and time on a small stick-on metal card and send it to your postal address. When you get it you can easily stick it onto the back of your medal and your personalized medal is ready! The medal insert can be ordered prior to the race online at the entry.budapestmarathon.com website. The personal medal insert can only be ordered for those with an individual result. The price of the medal insert with shipping and handling (to a foreign address) is 6€. The event is timed by AGNI-Timing. 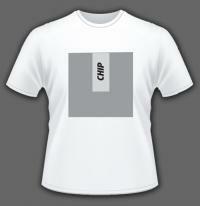 The UHF chip will be located at the back of your bib number. Consequently, it is essential that you wear your own bib correctly: well visibly on your chest without folding it. Failure to do so may result in a 10-minute time penalty. Prizes will be issued to the top 3 male and female individuals and teams. The official results will be based on the brutto times. A list of results will be published online real time, the lists are being updated while runners are crossing the finish line. Runners who do not have a time at one of the checkpoints along the course will not be given a rank. Those who received a 10-minute penalty will be marked with an asterisk. During the race, medical services are available at the medical area beside the finish line. If you see someone collapsing along the course please notify the race organizers posted at each kilometre sign or at the refreshment stations. At the back of each bib, you can find the phone number of the medical team. Fill in the emergency section on the back of your bib. Do not forget to mention if you have taken any medication before the race! Please wear your race number on the front and make sure that it is clearly visible at all times and don’t fold it! Make sure you put your race number on your T-shirt properly with the safety pins which can be found in your race packet and also on the registration tables. Improper wear might result in a 10-minute time penalty. Participation in the event is open to any properly trained runner or wheelchair racer who has agreed to the standard terms and conditions. When you use earphones, you are unable to hear noises from outside, so you might obstruct a runner who is trying to pass you or race marshals or members of the medical team. It is NOT PERMITTED to listen to MP3 players or any other devices plugged into both ears. Anyone breaking the rules can get a 10-minute time penalty. Among the runners, there will be race organizers on bikes and motorbikes, and also ambulances if needed. Participants are not permitted to roller-skate, bike, run without a race number, or run with a dog. Those attempting to run accompanied by someone on a bicycle or on roller-skates can be disqualified. BSI reserves the right to change the route, the program and the date of the event.